It has been one month since we learned Heather's cancer returned. I left the hospital thinking my time with her was limited and was determined to make the very best of whatever it was that we had left. When her appetite slowed, I thought it was a sign things would go downhill even faster than I originally thought. Then, I started cooking for her and the appetite came back with a vengeance. She even eats regular kibble on its own now. A definite turn from where we've been. Today, Heather still behaves as if nothing is wrong. She still actively searches out the good stuff: treats. 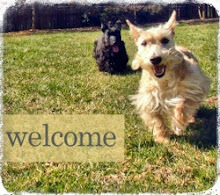 She playfully burrows her head in the rugs of the Scottie House. And she still spends most of the day blocking the air from circulating through the house in favor of cooling her belly. If she had not been hospitalized last month, I'm not sure I would have ever known she was so sick because she is almost entirely back to normal. It is obvious her arthritis is an issue but I give her supplements to help with the joints and pick her up when we go up and down the stairs to prevent injury. With each day that passes by, I find myself forgetting that she is sick after all. Every day is just like any other. Selfishly, I find myself thinking of how nice it would be to have the holidays with all four Scotties. I have to remind myself time and again that the inevitable will happen. I just don't know when. Will she live to see her twelfth birthday? I don't want to get too comfortable that I fall back into a routine in which we're not living life to its fullest potential. There's still so much life to be lived and I want her to experience whatever it is she wants to experience. It is a delicate balance - trying to live life as usual while coping with the reality of this difficult situation. My only goal these days is to keep her happy and comfortable. And shower her with kisses every time I pick her up to walk up or down the stairs just so she knows how much she is loved. I know there are decisions to be made and that it would be easier to make those decisions now rather than when the inevitable takes place. And I will. Just not now. For now, I'm going to continue loving on my sweet girl and learning to whip up whatever it is she fancies to eat! That's it, just enjoy EVERY minute with that sweet girl. She obviously isn't going to let a little thing bother her! I am dealing with the unknown. I go Tuesday for her follow up to know for sure. She is fine and acts normal. I am the one stressed out and have not been able to get good sleep since Friday. I am a basket case. I went through TCC with my first one and t was a nightmare I vowed I will not put my current one through if it is. I thought I did everything right- bottled water, organic food, no chemicals except vaccines and heart worm. 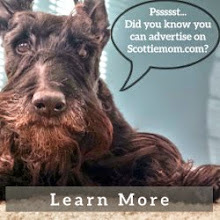 I want to know why there is so much cancer in Scotties? 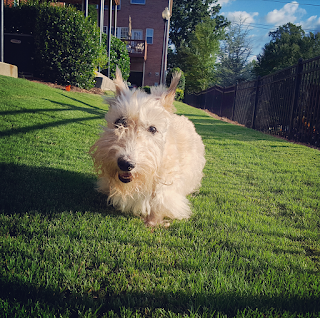 I am just torn apart because I am not sure if I can have anymore Scotties due to health issues but after almost 30years with a Scotty I can't imagine not having one next to me. I found a lump on Maggie in early July 2013. It was lymphoma...I wasn't ready to give up on her so I took her to UW-Madison Vet Clinic. They have a wonderful success rate and are SO good to their patients. Maggie recovered after the 16 week treatment and lived a happy life for 18 months. I was not sorry as she was her old self, bouncy, ready for rides and a joy. So Scottie Mom enjoy and try not to think of the inevitable. Kyla relapsed and rallied multiple times until the final relapse from which there is no rally. Enjoy the good times while you can so you have no regrets later. You can't save Heather from her fate-you can't even save yourself. You can give her a great send off. Enjoy your Sweet girl for as long as you can. 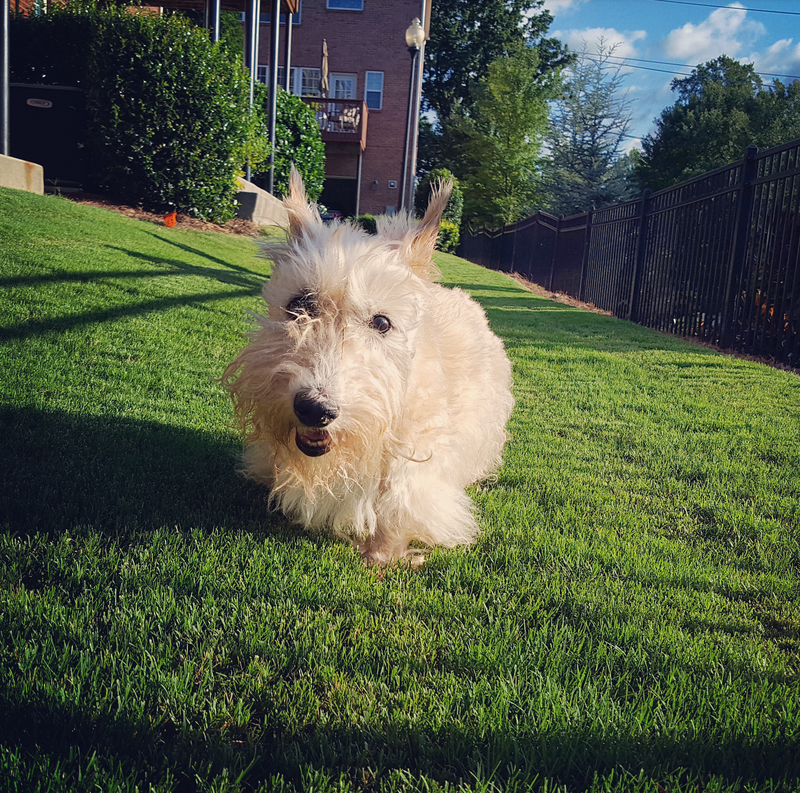 I lost my Scottie in April & miss her everyday. Well-said Scottie Mom. We are all rallying behind you. We are glad Heather is having these days of grace and enjoying her life.